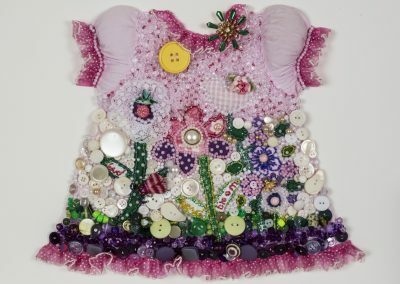 Utilizing mixed media including buttons, beads, lace and ribbon, Ricki creates one of a kind works of art. 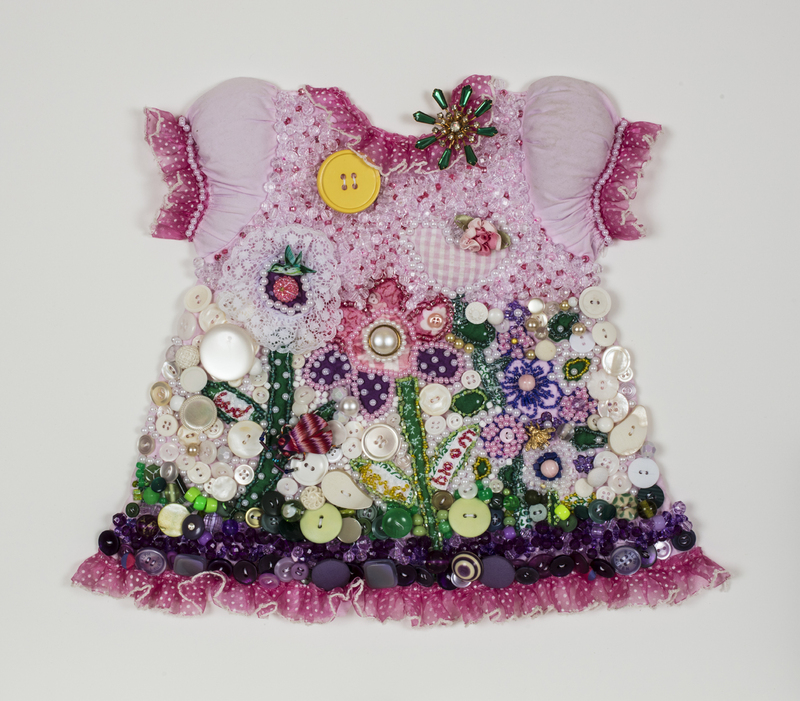 Ricki was drawn to this medium because of her love for fabric, rich colors and hand sewing. 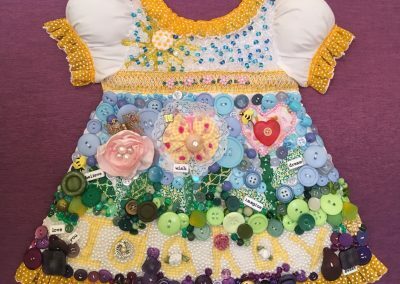 Starting with a special family memento she uses a baby dress as her canvas. 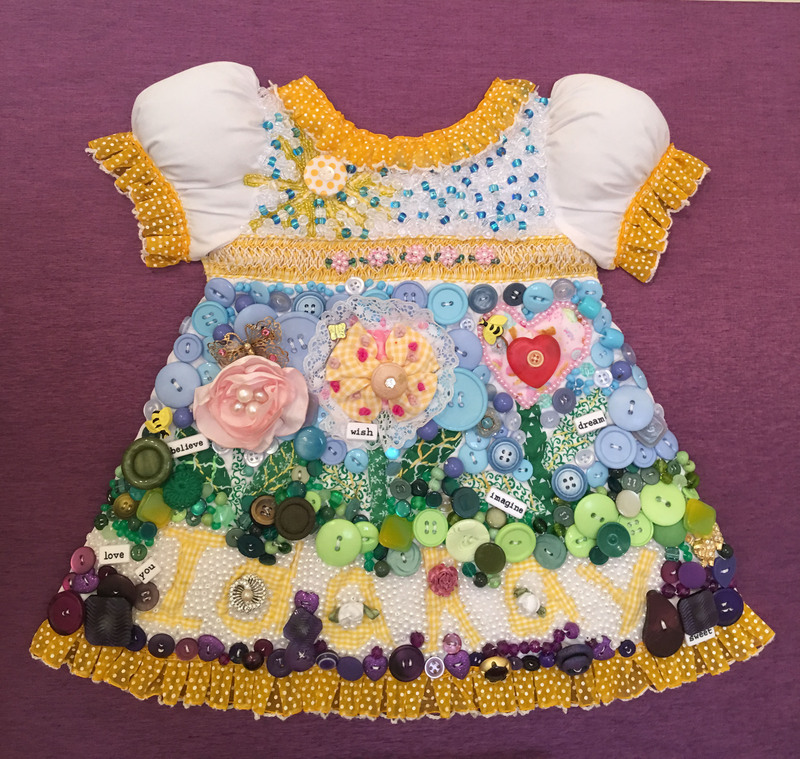 When she undertakes a baby dress, she collects buttons and trinkets from the family. 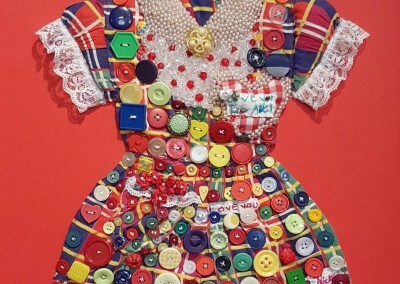 The dresses are transformed into cherished works of art. Each finished art piece is then carefully and selectively framed for display purposes. 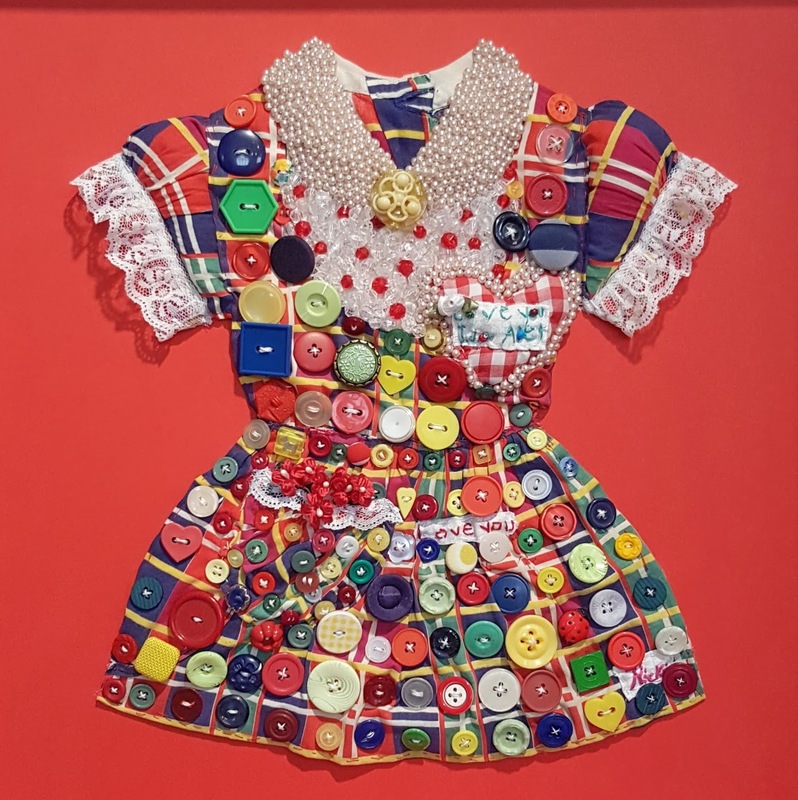 Ricki, a Bexley native, holds a degree in Art History and a Master’s Degree in Art Education from Ohio State University .She attained a teaching certificate in Art Education K-12 from Ohio Dominican. She was an elementary art teacher in Pickerington schools for sixteen years. 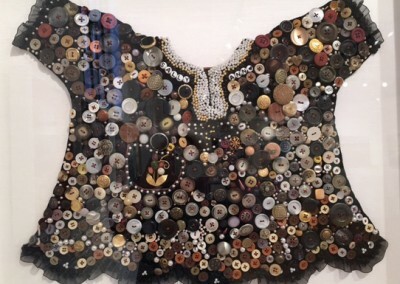 Her inspiration to sew came from her Grandmother Ida. Aminah Robinson was also an inspiration for Ricki whose work and friendship she so admired. Her trademark heart represents her love for her Grandmother, her mother, daughter, daughter in laws, sisters, granddaughters and all the special women in her life. 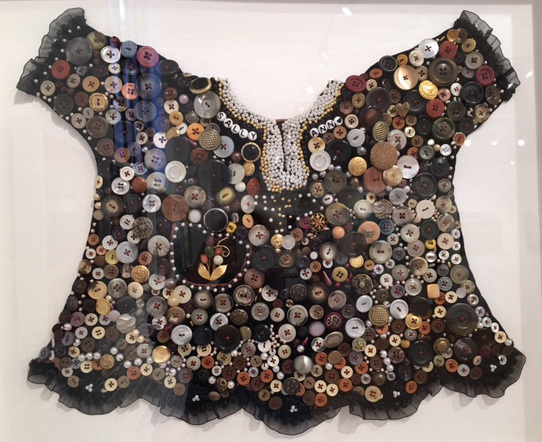 Each dress incorporates special memories and subtle messages throughout.